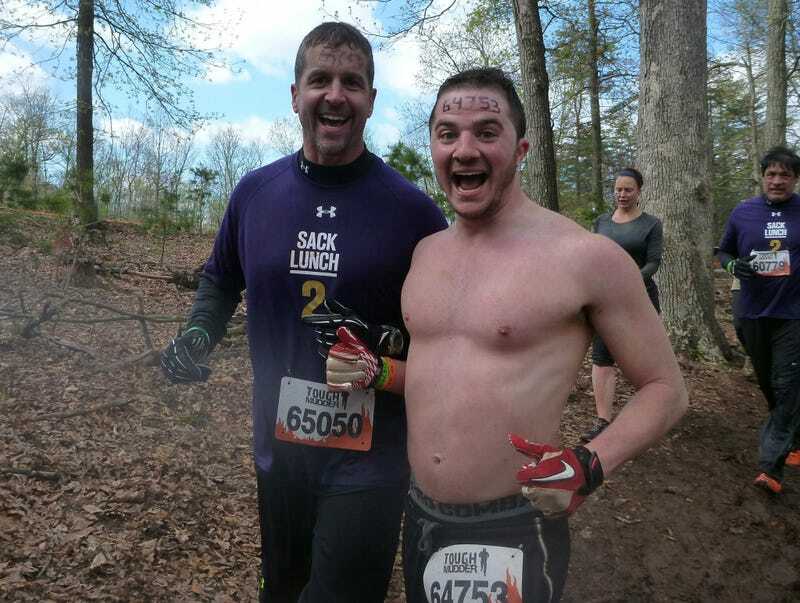 This picture comes to us from reader Jared, who happened upon John Harbaugh and Ravens running backs coach Juan Castillo while running in the Tough Mudder Mid-Atlantic—an adventure race in which participants have to run through all manner of obstacles before participating in a vigorous round of high-fives. Harbaugh and Jared were having a great time. Castillo seems to be enjoying himself far less.